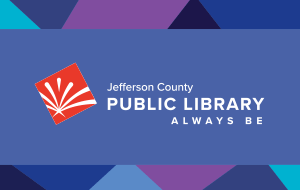 The public areas of the Jefferson County Public Library (the “Library”), including both facilities and grounds, are a limited public forum. As such, the Library may create reasonable rules and regulations to maintain the proper use of its property, yet must do so within lawful boundaries. Public sidewalks, near or around Library property, are traditional public forums and as such may be subject to content-neutral and reasonable time, place, and manner restrictions. The following policy is for the express purpose of maintaining orderly management and control of all Library grounds to create safe, respectful, and appropriate environment for all patrons. The Library reserves the reasonable use of its facilities. The following activities are not permitted within any Library facility unless expressly required to conduct library business. However, the following activities may be conducted on Library grounds in accordance with the general policy set forth in this document. The above permitted public activities must remain 25 feet from all public entrances to Library facilities. Such activities must not interfere or restrict patron access to Library facilities or grounds at any time, regardless of distance from the entrances. Each location has a site outline that displays the 25 foot boundary. Certain libraries within Jefferson County serve as temporary polling places and are designated as such. During the election season all state and local statutes regarding electioneering and polling locations apply to all designated Library locations. On the day of the public election, the ballot box is considered a polling place. Therefore, electioneering may not take place within 100 feet of the ballot box. This area may be marked at those sites. The Library Staff is empowered to enact provisions of this Policy to maintain a pleasant, orderly environment and may respond to violations of this Policy. The public and library patrons are expected to follow the Library’s Code of Conduct at all times. Please note that there is no expectation of privacy outside of the Library’s facilities, such as on a public sidewalk. Therefore, audio or video recording by one citizen of another citizen, with or without consent, is a permissible activity and outside of the Library’s scope of regulation. Public solicitation of funds is prohibited on Library property. All yard signs, other than those produced by the Library, are prohibited on Library property. Signs posted on Library grounds will be removed and disposed of by Library Staff. All medium such as chalking, unless sponsored or produced by the library is prohibited on library property. Any messaging shall be considered graffiti and removed as soon as possible. This Public Use of Library Grounds Policy was prepared under the advice of the Jefferson County Attorney’s Office. Questions regarding this Public Use of Library Grounds Policy should be directed to the Director of Public Services.